Sonic Pi, originally created for the Raspberry Pi to combine music and coding, is now available for other operating systems, meaning that even if you don’t have access to any Raspberry Pis, you can still use the software to help your pupils become composers. By searching the web, you could find the sheet music or notes for a variety of Christmas songs and carols. Alternatively, they could work out the notes themselves. 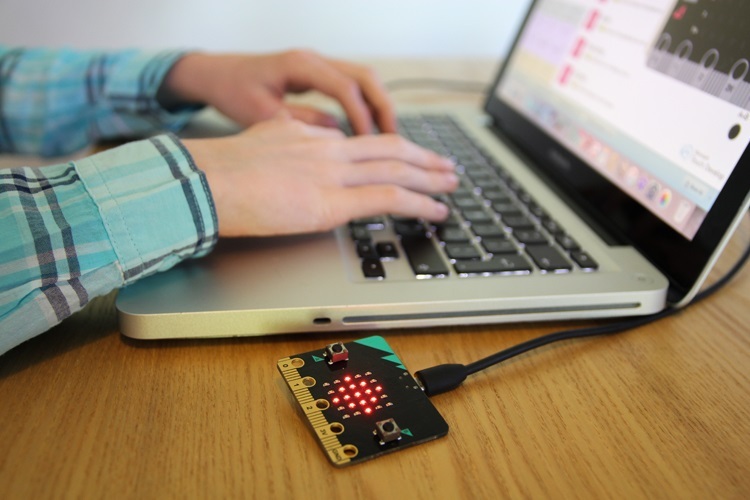 Whether or not you have access to any Micro:Bits in your school, you can still use their online code editor to carry out coding tasks. Program your Micro:bit to wish you ‘Merry Christmas’ this lesson by changing the message it displays. Program the LEDs to light up by programming your Micro:bit to display a Christmas image (maybe a Christmas tree) by adapting this lesson. NORAD’s famous Santa Tracker is a favourite with younger pupils. It follows Santa’s location as he delivers presents around the world on Christmas Eve. As well as tracking Santa, the website also allows you to learn about Christmas traditions around the world. Choose a country to find out more about using the web before making a video or presentation, sharing what you know about how that country celebrates Christmas. You could extend this by using Google Earth to visit some of these countries and their famous landmarks. Provide your class with a list of Christmas presents you need to buy. Using their online shopping skills, the task is to locate the websites with the cheapest deals. Use a spreadsheet to track prices, taking into consideration any charge for postage. Make it more competitive with rewards for the cheapest total price. Presentation software, such as Keynote, Powerpoint or Google Slides can be used to quickly create a Christmas-themed quiz. Using hyperlinks, you can be told whether your answers are right or wrong. 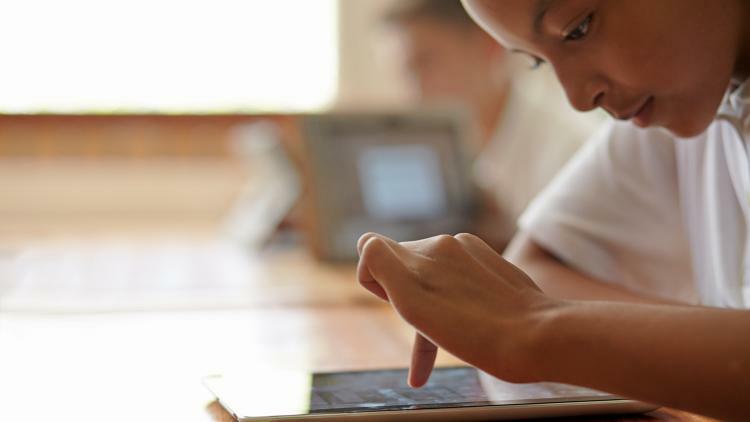 If you have more time to spare and would prefer a programming focus, your pupils could code a Christmas quiz or game using Scratch. To recreate the story of the Nativity using Lego characters, pupils could create a stop-motion animation version. Stop Motion Studio is one of many free apps available. Alternatively, if your school has access to Minecraft, pupils could collaboratively recreate the story, with helpful signs recounting the events. Free game-making software, Kodu’s block-like appearance makes it perfect for some pixel art. The ability to quickly zoom in and out means their artwork can be precise but they can easily see the whole picture. Once your pupils have made a fantastic piece of Christmas-themed pixel art, they could save the screenshots and then use desktop publishing software to make an impressive Christmas card. If your school has any Christmas events on the horizon, you could use this opportunity to get posters made to advertise the events. Perhaps your school has a special Christmas dinner that pupils could help with by designing the menu. A variety of desktop publishing software or apps could be used to carry out these activities. Create a Christmas-themed QR treasure hunt for your class. Many QR code generators are available so you can make QR codes that link to text, images or other websites. Alternatively, sites such as this one will do most of the hard work for you. Simply add some Christmas-themed questions and answers, and the site will generate the QR codes for you. Then simply print out the QR codes and place them at various locations around your school. As an alternative to writing instructions about how to make a cup of tea or another mundane task, how about writing an algorithm to help Santa’s elves wrap their presents? If you have some spare boxes and Christmas wrapping paper, pupils could work in pairs, taking it in turns practising being elves by wrapping presents, only using instructions given by their partner ‘elf’. This can help to demonstrate the importance of writing clear instructions when writing computer programs. You could extend this with other Christmas-themed algorithms (e.g. loading the sleigh; delivering presents; decorating the tree). If you are feeling artistic and have access to floor robots (e.g. beebots) and a large map of the world, then start by turning your beebot into a sleigh! Direct your ‘elves’ to give Father Christmas’ sleigh clear instructions from the North Pole to his destinations, taking into consideration time zones around the world. So go on – try out a seasonal activity with your class this December and add a bit of magic to their day!